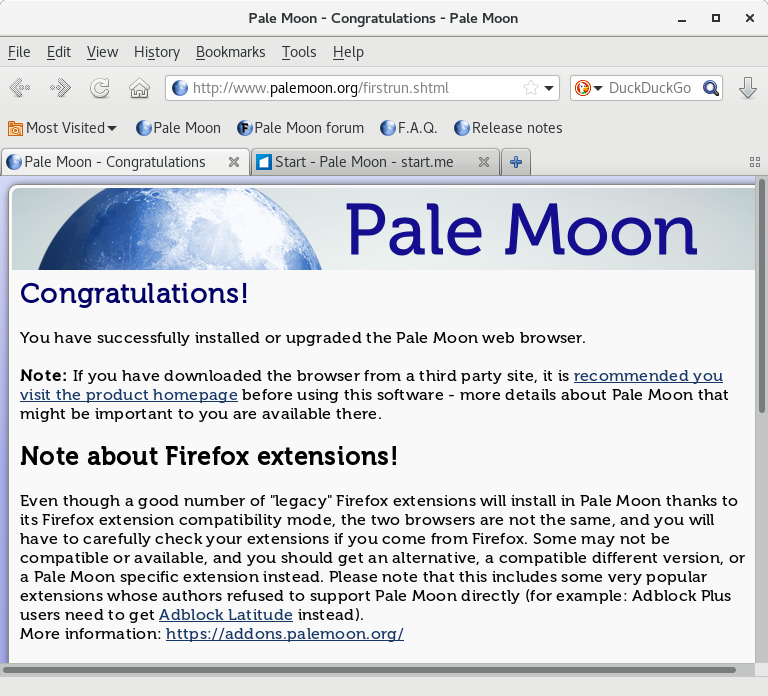 I was then able to install the Pale Moon web browser with yum install palemoon. I could then open the browser by clicking on Applications at the top, left-hand side of the screen and within the Internet group selecting Pale Moon Web Browser. When you first open the browser it will display the page at http://www.palemoon.org/firstrun.shtml.